Background: The development of novel nanostructures for pharmaceutical analysis has received great attention. Biosensors are a class of analytical techniques competent in the rapid quantification of drugs. Recently, the nanostructures have been applied for modification of biosensors. Objective: The goal of the present study is to review novel nanostructures for pharmaceutical analysis by biosensors. 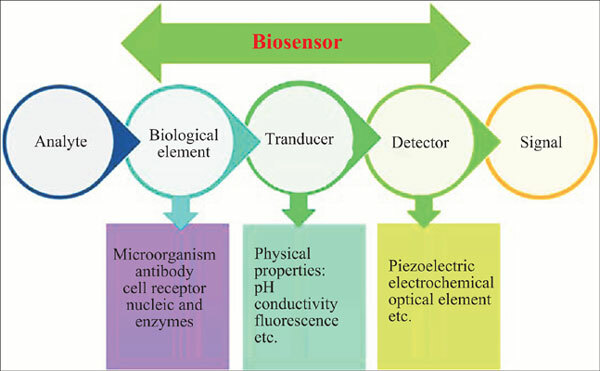 Method: In this review, the application of different biosensors was extensively discussed. Results: Biosensors based nanostructures are a powerful alternative to conventional analytical techniques, enabling highly sensitive, real-time, and high-frequency monitoring of drugs without extensive sample preparation. Several examples of their application have been reported. Conclusion: The present paper reviews the recent advances on the pharmaceutical analysis of biosensor based nanostructures. Nanostructures, biosensors, pharmaceutical analysis, drugs, modifications, HPLC-MS.